spanking new, EVO TM Series of automatic tank gauges with the launch of the EVOTM 200 and 400 to their existing lineup of world class ATG’s. 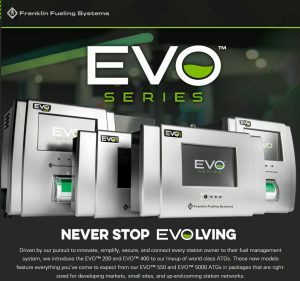 Checkout the EVO website to learn much more about the full lineup of EVO ATG’s. Offering datasheets, product brochures and presentations and much more on each system and which one best fits your needs. To learn more about the EVOTM Series, please contact us at 1.800.451.4021.